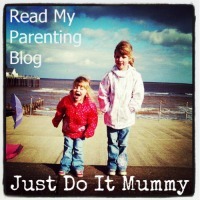 Recently I blogged about my wonderful trip to Yeo Valley and tour of their Organic Gardens. Today, I am going to tell you about the yoghurt tasting, cookery demonstration and lunch we experienced within the tea rooms during our visit. After meeting some of the cows who actually provide the milk for Yeo Valley yoghurt, we had the opportunity to sample some of their deliciously creamy yoghurt. All of the flavours tasted so wonderful, but flavours which stood out for me were coconut, lemon curd and strawberry. 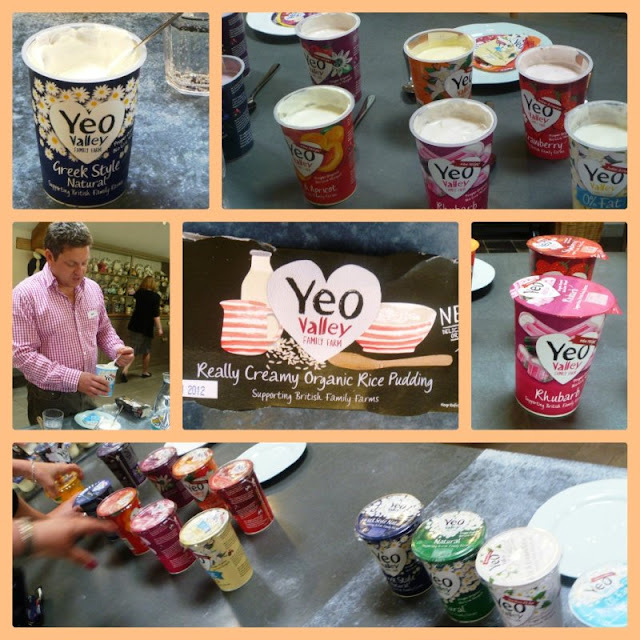 Yeo Valley yoghurt comes in a variety of different pots including big sharing pots and smaller individual pots. They also have a lovely range of yoghurts for children. Additionally, we also sampled some Yeo Valley Rice Pudding. I can honestly say that it was the creamiest, most delicious rice pudding I have ever tasted. After our yoghurt tasting, Jaime, the resident Yeo Valley Chef was on hand for a cookery demonstration and to talk to us about cooking using yoghurt. 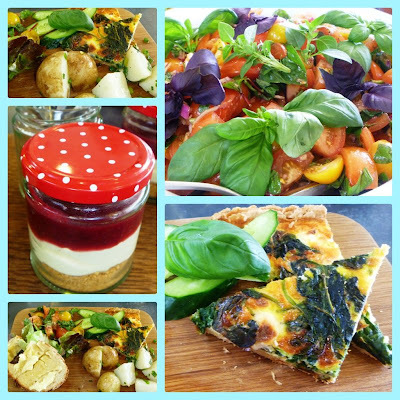 There are lots of ways of cooking with yoghurt some of which I have featured previously on my blog, it is a very versatile ingredient. Jaime began by making a wonderful Sour Dough Bread, using whey - a yoghurt bi-product, as a replacement for the water in the bread. The sourdough was the best I have ever tasted. After this, Jaime showed us how to make ricotta cheese (recipe below) and he also showed us how to make a fabulous Strawberry Rhubarb Cheesecake which you can find on the Yeo Valley Website. I loved the desert that Jamie made - what a simple and effective way of presentation!. Using a jam jar is an inspired idea and makes a perfect pudding for the summer! After the cookery demonstration we were treated to an absolutely phenomenal lunch. It was easily the best lunch I have had in a long time. Jaime used seasonal produce from the garden to create a Potato Salad, Basil & Tomatoes drizzled in Olive Oil, a Ricotta and Spinach Tart and of course the Rhubarb & Strawberry Cheesecake in those pretty jam jars! 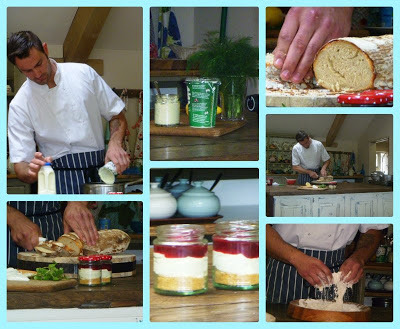 I am including a recipe for how to make your own ricotta, as given to us by Jaime, the Yeo Valley Chef!. Thanks to all at Yeo Valley once again for a fabulous day. What do you like cooking with yoghurt? 1. Place all ingredients into a saucepan and bring to the boil, no need to stir. 2. Boil for 2 minutes, and remove from the heat. The yogurt and milk will have curdled, this is what is meant to happen, so don’t panic. 3. Line a large sieve with a clean J cloth or tea towel and place over a large container to catch the Whey. 4. Pour all curdled mixture into the lined sieve and leave to cool down. 5. Once cool enough to handle the cloth, give it an encouraging squeeze, and then pop into the fridge for around 12 hours. 6. After 12 hours it will have ‘set’ and now your free to use the cheese however you wish, either in a tart, a sauce, or on a pizza. Just tear it apart or cut it. 7. If you wish to keep the Whey, keep it in an airtight container in the fridge, it will keep up to 2 weeks. Use it as a replacement for water in bread making.